We examine the effectiveness of distance preserving transformations in privacy preserving data mining. 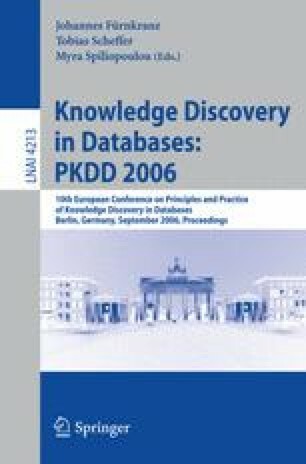 These techniques are potentially very useful in that some important data mining algorithms can be efficiently applied to the transformed data and produce exactly the same results as if applied to the original data e.g. distance-based clustering, k-nearest neighbor classification. However, the issue of how well the original data is hidden has, to our knowledge, not been carefully studied. We take a step in this direction by assuming the role of an attacker armed with two types of prior information regarding the original data. We examine how well the attacker can recover the original data from the transformed data and prior information. Our results offer insight into the vulnerabilities of distance preserving transformations.